Rivers SOS has held a regional meeting at Lithgow, where we viewed some of the swamps desiccated by Centennial Coal’s operations, and we have also been involved in the large rally held at the famous Gardens of Stone: wonderful environmental assets in danger of destruction, to the shame of our generation. You can download the submission here. The incremental damage to the Special Areas, the heartlands of Sydney’s catchment, continues with yesterday’s announcement from the Planning Assessment Commission (PAC), giving the green light to India’s Wollongong Coal mine to continue mining within the Dam Notification Area of the Cataract Dam, holding around 10% of Sydney’s water supply. The Rivers SOS Alliance supports the position of the Sydney Catchment Authority, which advised the PAC that it’s opposed to this mining operation as it is within the Dam Notification Area (i.e. a zone providing a safety buffer around the water storage dams). 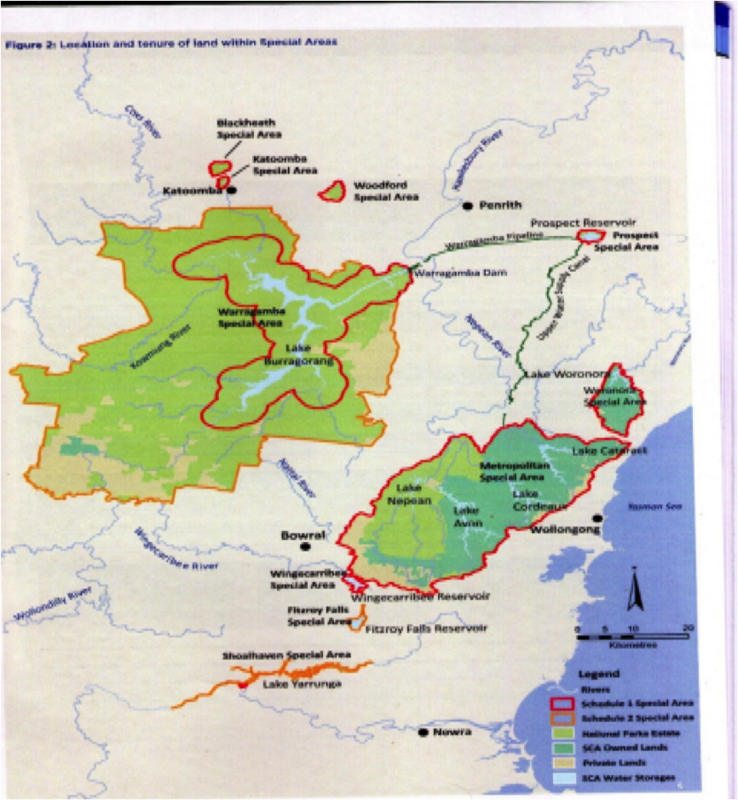 Rivers SOS has published a detailed report on a proposal to expand mining at the Russell Vale Colliery, near Wollongong. In this case we’re looking at incremental mine damage to the most significant catchment in Australia, still capable of providing “some of the highest quality drinking water in the world” for 4.5 million residents of Greater Sydney, a city expanding at an approximate rate of 40,000 a year; 60% of NSW’s population at present and tipped to grow to 80% – eight million – by 2050. The Baird government has been accused of ignoring the advice of its own agencies in allowing the expansion of underground coalmining into Sydney’s protected water catchment area. Lock the Gate Campaigner Isabel McIntosh said the alliance was concerned the merger of the Sydney Catchment Authority and the State Water Corporation would undermine the role of SCA in protecting the quality and quantity of water for Sydney’s growing population. Protect Sydney’s Water is a coalition of more than 50 groups from across Sydney, the Illawarra, Southern Highlands and Blue Mountains to protect Sydney’s drinking water supply from destructive mining practices. The NSW Chief Scientist recently held a meeting to discuss the impacts of ‘produced water’ from CSG mining (water that contains high levels of salt, and is often contaminated with carcinogens). Huge amounts of produced water are being generated by CSG mining: 20,000L per well per day. That means a gas field with 50 wells would produce one million litres per day. Rivers SOS was invited to participate in the workshop, and Caroline Graham, Rivers SOS member, prepared the attached briefing notes. 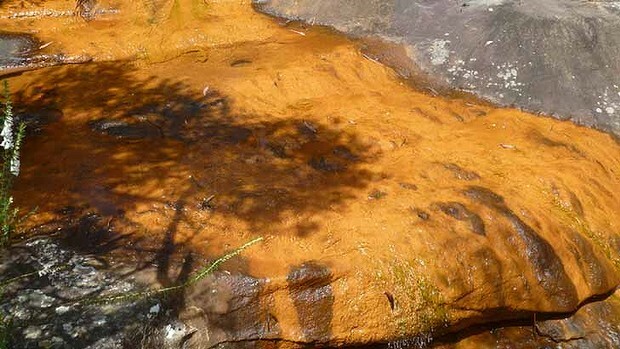 Coalmining under part of Sydney’s water catchment has resulted in an important feeder pool being completely drained and has also triggered extensive iron contamination, water specialists said after visiting a river that flows into the Woronora Reservoir. “Pool N” on the Waratah Rivulet, which supplies about half of the reservoir, was found to be completely drained during the visit on February 13 with water running into big cracks in the pool’s 150 metre-long floor. This was predicted back in 2010, when the SMH reported on the approval of mining in this area. Rivers SOS has written previously about damage caused in this area, which you can read on our page about the Waratah Rivulet. Iron concentrations in a rivulet that feeds the Woronora Reservoir have doubled since the expansion of the Metropolitan Colliery, to levels which exceed Australian Drinking Water Guidelines by 30 per cent, a study has found. Rivers SOS has been raising these issues for some time, and will continue to do so. 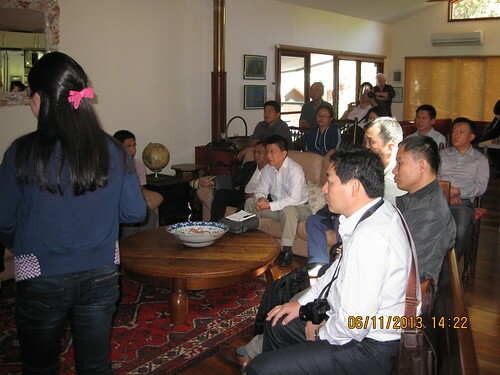 A delegation from the Marine and Fisheries Department of Hainan province requested a visit to members of the Southern Coalfield branch of the Rivers SOS Alliance, to discuss the management of river systems and drinking water catchments. 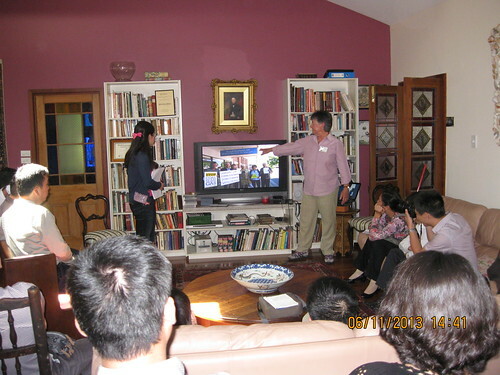 They arrived by bus at Douglas Park on Wednesday 6 November for afternoon tea and talk, led by Director Mr Pan Jiangang, and Deputy Director Ms Chen Qianyi. 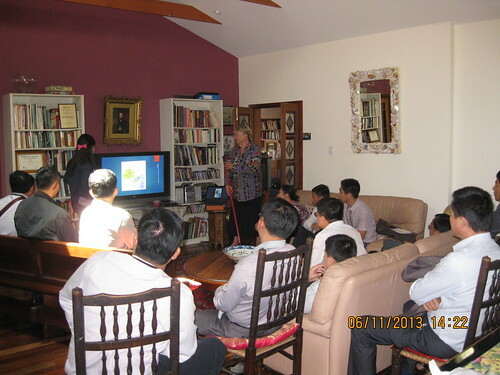 We presented them with a slide show of rivers and desiccated swamps damaged by longwall mining under the Metropolitan and Woronora Special Areas of Greater Sydney’s catchment. 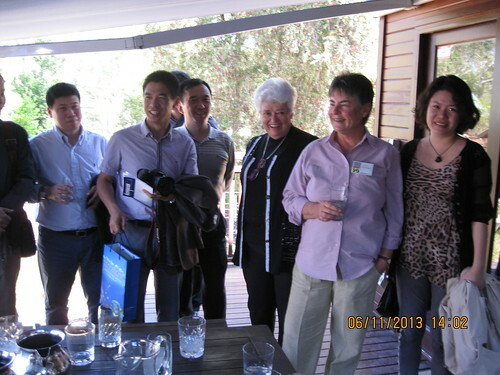 We asked them to request the Chinese government to cease buying coal mined from our Special Areas. They were shocked to learn that mining is allowed here, and informed us that mining is prevented in China’s drinking water catchments. “Don’t you have the vote?” one asked. We replied that even so, most people don’t know or care where their water comes from, and meanwhile the mining corporations are overpowering our governments, and have played a large part in removing two prime ministers. But there is growing awareness of the issue and more activists are now joining the campaign to save the water supply. They told us that our request to boycott catchment coal might be a possibility, as China can access coking coal from newly opened mines in Mongolia. We resolved to maintain contact. Caroline Graham displays a map of Sydney’s catchment and its Special Areas, helped by interpreter Ruth. Yesterday Rivers SOS joined with 50 community groups across the region at Parliament house in Sydney to launch Protect Sydney’s Water, an alliance to protect Sydney’s drinking water supply from destructive mining. As you may have seen on the recent ABC Stateline, coal mining has had damaging impacts on our drinking water supplies, including cracked riverbeds, loss of water quantity and quality and the death of upland swamps which provide the baseflow to the rivers which flow into the dams – the drinking water for 4.5 million people in Sydney and the Illawarra. The alliance released new polling that showed overwhelming public support for banning coal and coal seam gas activities in water catchments and close to rivers and streams. Premier Barry O’Farrell has failed to live up to his pre-election promise to ensure that mining does not occur in any water catchment area. He is clearly out of step with the vast majority of the people of NSW and we need to tell him so. 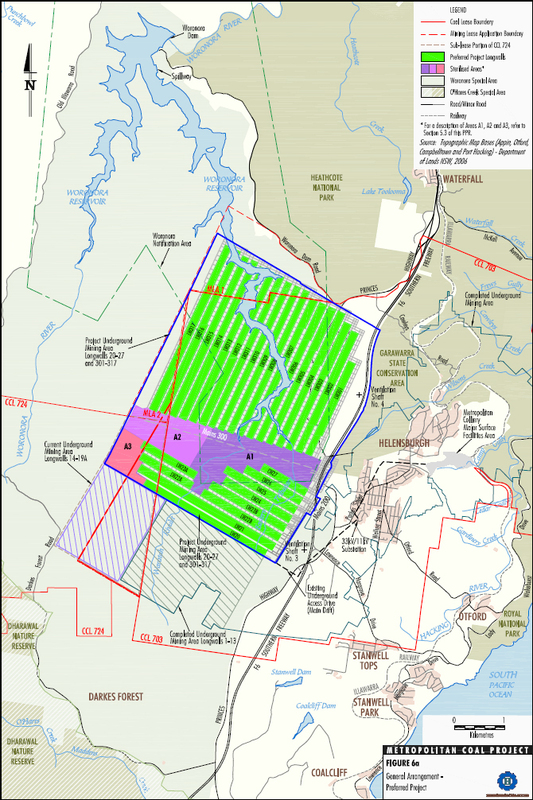 Earlier this year, the government approved the BHP Dendrobium proposal to expand long-wall coal mines in Sydney’s drinking water catchment, even after the Sydney Catchment Authority advised them the impacts of fractures and water loss from swamps were irreversible. Four coal mines that currently undermine Sydney’s Metropolitan Special Areas drain about 3 billion litres a year from the water supply — enough water to fill 1,200 Olympic-sized swimming pools. Coal seam gas fields are now the latest threat, with exploration licenses covering most of the catchment. Enough is enough. Join us by calling on Premier O’Farrell to end these threats to our water, email him today! Expanding coal mining and coal seam gas activities puts the narrow interests of the mining industry above the interests of the people who depend on Sydney’s catchments for their drinking water. It is time the O’Farrell government banned damaging mining activities in our drinking water catchments once and for all.